By entering this competition on this website in association with P2 Games Ltd you are deemed to agree with and be bound by these rules and regulations. Please do not enter this competition if you do not accept these terms and conditions. 1. These rules and any other rules specified by P2 Games Limited (the "Company") and the Competition sponsor, P2 Games Ltd. (“Sponsor”) from time to time ("Competition Rules") apply to the ("Competition"). By taking part in the Competition, you agree to be bound by the Competition Rules and by the decisions of the Company which are final in all matters relating to the Competition. The Company reserves the right to disqualify any entrant and/or winner in its absolute discretion for any reason and without notice in accordance with the Competition Rules. The prize draw will be supervised by an independent person. The draw is final and no correspondence will be entered into. 2. All entries must be received at the place specified during the period in which the Competition is open and late or incomplete entries will be disqualified. Proof of posting (if relevant) shall not be deemed proof of delivery. No responsibility can be accepted for entries which are lost, delayed, misdirected or corrupted during delivery to or from the for any reason whatsoever. 3. Entries must be submitted by an individual (not via any agency or similar) and, unless otherwise stated, are limited to one per household. 4. Competition Prize: 1 x New Kindle Fire Kids Tablet 7" 16GB with choice of either Yellow, Pink or Blue Kid Prood Case plus a copy of Ben and Holly's Little Kingdom - Big Star Fun Mobile App either on Android or Apple iOS. 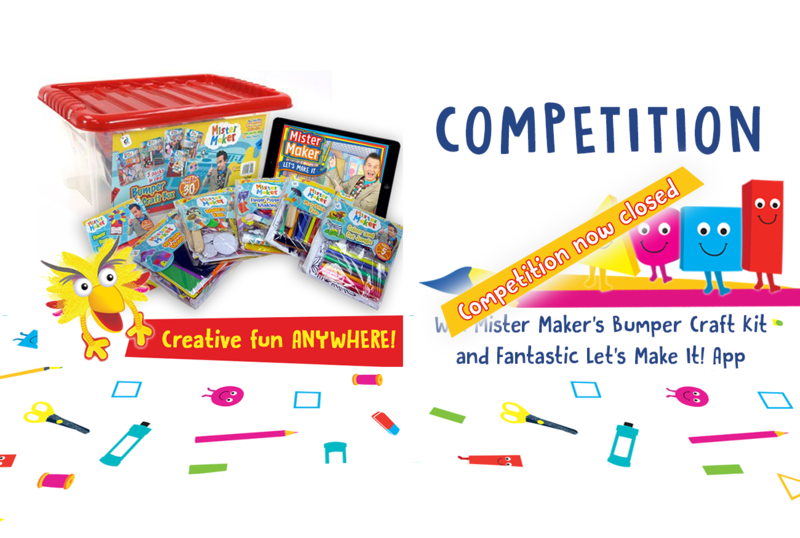 10 runners up prizes of a copy of Ben and Holly's Little Kingdom - Big Star Fun Mobile App either on Android or Apple iOS will also be awarded. Prize is non-transferable and theatre tickets subject to venue availability. No cash alternative available or prize substitutions will be allowed except that the Sponsor retains the right to substitute a prize of comparable or great value (or at the Sponsor’s election, the cash value of the applicable prize) in the event a stated prize is unavailable, in whole or in part, for any reason. 5. The winning entry will be that which has met the entry criteria and which most closely meets the Competition criteria specified. 6. Unless otherwise stated, the Competition is open to all UK residents of 18 years and over, except employees of the Company and their immediate families, their agents or anyone professionally associated with this competition. (c) waive any moral rights or similar rights you have in your Competition entry whether such rights arise pursuant to the Copyright, Designs and Patent Act 1988 (the "Act") or equivalent legislation anywhere in the world. 8. You may be offered the chance to subscribe for a free newsletter or other service of the Company but failing to do this will not disqualify you from the Competition. 9. If you are a winner, you may have to provide additional information (including, without limitation, proof of age or identity) and/or complete additional documents and return them to the Company and/or the Sponsor within a specified period. Failure to provide additional information and/or complete additional documents within the required time period, or notification returned as undeliverable as addressed will result in your disqualification as a winner and an alternative winner will be selected. 10. The name(s) of the winner(s) and details of the winning entry or entries will be sent to anyone who requests the same within three (3) months of the closing date of the Competition. Requests should be sent to the postal or email address for competition entries and, if postal, should be accompanied by a SAE. (b) you acknowledge and agree that neither the Company or the Sponsor or any of their employees, agents or subcontractors shall have any liability to you whatsoever in connection with your use and/or possession of your prize, provided that nothing in these Competition Rules shall exclude or limit the liability of any party for personal injury or death caused by negligence or for anything else which cannot be excluded or limited by law. 12. Unless otherwise stated, the Company is the promoter of the Competition. 14. These Competition Rules and the Competition are governed by English law. Any disputes arising between the Company and any third party in relation to these Competition Rules and/or the Competition shall be subject to the exclusive jurisdiction of the courts of England and Wales (save that the Company shall be entitled to take action against a third party in any other jurisdiction). P2 GAMES LIMITED are committed to protecting and respecting your privacy.